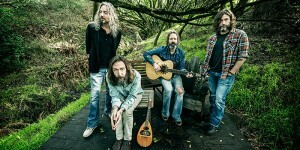 A few months later the Chris Robinson Brotherhood embarked on an 118 date North American tour. How You Feel (due July 29th). –Tall Heights: Work from the Boston progressive folk duo’s debut major label release, Neptune, out Aug. 19. Check out press coverage and tour dates HERE. –Eric Krasno: Cuts from the Soulive and Lettuce guitarist’s solo album, Blood From A Stone. Scheduled for a July 8 release, the album is packed with guest apperances from the likes of Derek Trucks, some of Krasnos’ previous bandmates and The London Souls. –Bishop Briggs: The British solo artist’s single, “River,” which was released in January of this year and continues to steadily climb the charts – officially cracking alternative radio’s Top 10 in late June.